This article tells you what to do if you think you’ve set your paragraph line spacing for the whole document but individual paragraphs refuse to behave. This is valid for Word 2007 and Word 2010, with Word 2013 to follow soon. My spaces between paragraphs are uneven – help! This just happened to me, which is why I’ve written up this article. I was working on a bibliography for a client. from which you choose your line spacing and lines after paragraphs options (I will write up a main post about this soon). Individual paragraphs still had no automatic spaces between then, even if I removed the line feed and pressed Enter again. I highlighted all of the text. I pressed OK and the paragraphs all behaved beautifully. I’m not entirely sure why this method works over the previous one, to be honest, but it worked for me and it was hard for me to find an easy, quick answer, so hopefully this will help a few people! If you have enjoyed this post or found it useful, please share the link! Please note, these hints work with versions of Microsoft Word currently in use – Word 2007 and Word 2010, for PC. Mac compatible versions of Word should have similar options. Always save a copy of your document before manipulating it. I bear no responsibility for any pickles you might get yourself into! Perfect timing! That’s exactly what happened to me this week while I was editing a client’s document. Thanks for the tip. Excellent – and it’s quite hard to find a reliable answer to the problem, isn’t it! The posts I write for myself always do best helping other people! Exactly what i was going to write!! Thanks for the tip for sure!! The key is in the fact that the checkbox beside ‘Don’t add space between paragraphs of the same style’ was blue. This indicates that some paragraphs had this option set on, and others didn’t. When that box was unticked (with two clicks, as you note), the option was turned off for all paragraphs. Good tip – it isn’t an obvious problem and the solution is buried pretty deeply. Thanks! Yes, indeed – I think I need to do a whole post about these three-choice tick boxes one day as the one in language can throw people. I spent ages looking for the solution when I had this problem, and I started this Word tips series off with one for myself (what to do when your comment boxes go tiny in Word) so if I learn something new I always make sure to write about it here! I think it applies to all versions of Word but the menu is in slightly different places. Another tip to add is that you can select your whole document very quickly by pressing Control + A – double line spacing is Ctrl + 2, 1.5 line is Ctrl + 1.5. I found that a lot of people used at least 24 points instead of double line spacing – the problem with this is that the spacing of the headings doesn’t look quite right – if you use double, single, 1.5 rather than points, it spaces headings with some extra space as part of formatting much better. Thanks for your comment, Luci – you’ve reminded me that I need to do a post on the Ctrl + x shortcuts, too! This tip does not work for me. My documents have already-formatted extracts, which might be the difference. Also, I notice you have the “Mirror indents” box in blue in your example above. Any particular reason? Could this explain, partly, why the tip doesn’t work for me? Thanks for your comment, Desiree. Did you highlight the whole document and try this? If there are parts that are already formatted and it’s causing you problems, you could always SAVE A COPY FIRST then a) copy and paste the whole document into a new Word document or b) (drastic) put into a plain text editor then take it out again (this will remove all formatting) c) use the “clear formatting” button which is in the Home tab – Font group – top row, far right, above the Font Color button. This will remove all of the formatting, however. The mirror indents can always be set to unticked rather than the “some might be, some might not” state indicated by the blue box. I hope this helps, do drop by to let me know! Thanks for the tip – this issue was plaguing me recently and I hadn’t been able to resolve it myself! Thanks for leaving a comment and so glad I could help! You’re welcome – I’m glad that I could help to reduce the craziness! You’re welcome, thanks for commenting. I’m always glad when I hear I’ve saved someone some stress! I had this problem, having copied from another product. Some paragraphs refused to change, no matter how I tried to reformat them. Turns out that they were pretend paragraphs – they had the paragraph mark but Word didn’t recognise them. The clue was when I tried to replace pairs with a single (^p^p with ^p) and none got changed – then when I changed ^p for ^l and only half changed. I had to do a global replace of ^013 for ^p and then it all worked! I’m glad you got there in the end, and thanks for the extra resource and work-through in case anyone else has this problem! Thank you! This has been a sporadic problem that has confounded me for some time (in my mind, with no apparent pattern to the madness). I have been looking for solutions – and as always, it is something simple (if you know where to look!). Sorry to hear it didn’t work – it works for me when nothing else does. If all else fails, the thing that DOES work is opening a new document, copying and pasting this text into that one, then doing the process. If THAT fails, press the “remove all formatting” button and start from scratch. Let me know what works for you. Thank You – such a useful and needed tip. I am still not getting there. I several documents all with the settings (set either using ribbon paragraph down rightward arrow or highlight, right click menu, paragraph, with are from the top Alignment justified, Outline level: Body Tex, Indention 00 Special none By blank, mirror indents no, Automatically ajust right indent yes, Before 0 line After 0 line, line spacing single, At blank Don’t add space and Snap to grid both checked. But while in all my documents this creates the line spacing that I am used to, in one of them the lines are bunched up. For the time being I have cured it by setting the line spacing from “Single” to exactly 18pt (for 10.5pt text). Fortunately the problem is limited to one document so, I am okay. Sometimes a document is corrupt in some way, in which case this doesn’t work (using highlight – right click – paragraph is definitely the most reliable way to do this). Then the only solution is to copy all of the text and paste it into a new document, or, if that doesn’t work, copy and paste into a .txt editor to remove all the formatting, then into Word from there. THIS IS THE BEST HELP in the world to me right now. Thank you for posing this in 2013. It is still useful. Thank you very much! Handing in my master’s dissertation today and couldn’t figure out what to do! I have a similar problem, but not exactly the same. I simply cannot get the space in between paras to be the same, across two different docs – one doc is what I want (where there’s a narrow space but you cannot highlight it or out the cursor in there) but the other, which has exactly the same settings in the para settings, is wider, and on this you can place the cursor in there. Seeing as I wish to combine the docs, then this is annoying as I would then have two different sizes in the spacings between the paras. Anyone know any solution to this please? By the narrow space you cannot highlight, you mean an automatic space between paragraphs. If you follow the instructions on here for both documents, highlighting all, clicking Paragraph then choosing (for example) 6 in “space below paragraph”, you should get them the same. But if you’re planning on combining the two documents, just do the paragraph space setting once they’re all in one document, if you’re doing it that way. I hope that helps – let me know how you get on. i want to know the macro code for highlight space beginning the paragraph of word document. plz let me know if you can. Thank you for your question, I’m afraid I don’t deal with macros on this blog yet. Thank you! I never noticed that “Don’t add space between paragraphs of the same style” check box before. It solved my problem. Thank for the response as I am going through this problem now. At issue is this should not be happening at all! It is a flaw in WORD! there is NO reason I cannot simply adjust the lines as indicated. When a typewriter is more responsive, you know the designer of this has limited abilities. Has Microsoft been informed they have a design issue? Thank you. I feel your pain. I assume Microsoft must know it’s a problem, but they haven’t changed it in many iterations of Word. Still, it gives me something to write about! I had tried removing all formatting by transferring to notepad before pasting back into Microsoft Word but even that did not work. Then I implemented your advice and that was it! Except tI changed the “After” spacing. Thanks for saving us lots of stress with this thoughtful article. I’m so glad this helped – sometimes this problem can be very recalcitrant indeed! Thank you very much. I solved my problem. Here’s a “deep in the weeds” variation on this topic. You can do the things discussed here — set spacing for Before of After a paragraph, clear the checkbox on “Don’t add space betweek paragraphs of the same style” — and STILL not see spacing between what you see as paragraphs in your document. 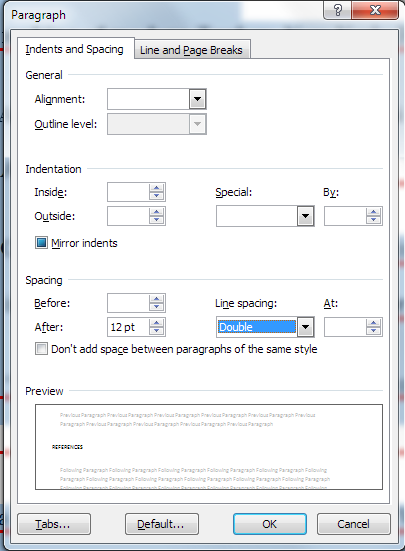 In order for spacing between paragraphs to be active, Word must recognize your paragrpahs as paragraphs. It is possible (not likely, but possible) that all you have after your “paragraph” is a carraige-return or line feed (which you can get by holding Shift+Enter). In this case, Word will not recognize your blocks of text that look like paragrpahs as paragrpahs. You can see this condition by toggling the Show/Hide Paragraphs (CTRL+*). If you see an arrow pointing down, and then to the left, you have a carraige-return after your block of text and Word will not apply paragraph spacing the that block of text. Simply delete the carraige-returns, then with the cursor positioned at the end of your paragraph, hit Enter. Then you’ll see a paragraph symbol (if Show/Hide Paragraphs is in “Show” mode, and Word will apply spacing Before or After paragraphs is discussed here. That’s certainly in-depth, thanks for sharing! Thanks this did the trick! I thought I was an MS Word expert but could not for the life of me figure out why some of my spacing would not adjust when I manually set the “before” and “after” spacing. It was driving me crazy as it interfered with my formatting of professional docs I’m creating for clients that must be perfect. I thought maybe it was some hidden characters but none showed up when I unhid special characters and markings. Guess I don’t know everything. Thanks so much!!!! I’m glad I could help! I often write these when I encounter a problem myself – none of us can know everything! It worked – but for only one document. 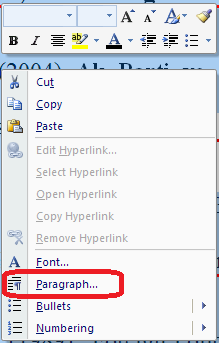 How do I keep control of spacing without having to use this system every time I use WORD? Thank you. (Asa P.S. – my WORD was fine and “controllable until a friend sent me a WORD document in 23 pages. Every since my WORD has been defective. Thank you. Unfortunately it depends on the document so you do often have to do it per document. You could try setting the paragraph spacing then saving as a new .dot template, which should remove the problem (should). I tried this, and I still can’t get rid of a space between paragraphs. I have a document that is double spaced, and whenever dialogue appears, there is an extra double space between paragraphs. Any suggestions? I use Mac Word 2011. Thank you for your comment. As I state at the bottom of the article, these tips are based on Word for PC and Word for Mac *should* have similar options – however, it won’t always work the same. So I suggest you search for a Mac version of these instructions in this case. Sometimes, the spacing commands (before/after) doesn`t work. I have tried to (clear the format of the paregraph under work and then apply the desired spacing between the intended paregraph and it works perfectly. I’m glad it has helped. If nothing will work, take the final return off the document and all formatting (having taken a copy) and start again!